We are looking for a Sage C# .NET Developer to join our busy Sage software solutions company. Established in 1995, AlphaLogix has become one of the largest Accredited Sage Business Partners in the UK, recently reaching Platinum Status. We are highly regarded developers in the Sage Community. We are currently working on many varied and interesting projects for our rapidly expanding client base and are continually adding to our portfolio of products. Enthusiastic and innovative C# .NET developer needed to join our busy team, based near Chepstow. We are within easy travelling distance of Bristol and Newport. Successful candidates will be working with our highly-skilled team of developers on a range of interesting projects for our rapidly expanding client base and to bring exciting new products to market. The ideal candidate will be educated to degree level, 2:1 honours or above, in IT/Computing or equivalent (preferably not games) or have relevant industrial experience. • Good understanding: Microsoft’s .Net environment, SQL. Visual Studio. 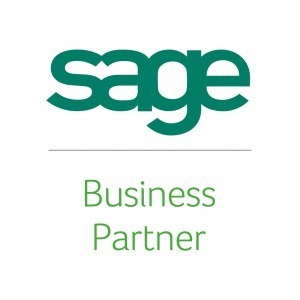 • Experience with Sage 200 and CRM software an advantage. • Excellent problem solving abilities. • Self motivated with good time management, written, and communication skills. • Desire to operate in a fast-paced environment as part of a small, highly skilled team. • Experience of working with processes such as software development life-cycles and change management. • Write bespoke software and develop Windows and web-based solutions/applications. • Full project life-cycle, prepared to take ownership of issues raised and pursue until resolved. • Configure software and install onto client’s systems. • Produce documentation and liaise with client’s when necessary. If you think you are the right person for this post and would like to join us, please email a copy of your CV to: anne.howe@alphalogix.co.uk.